Is any chance to create a small squad for Hornet here and play some missions in standar days and times (as Arma). If yes iam interesting to participate and maybe I can bring one more guy. I'm always down. Come August I'll have much more time for DCS too. 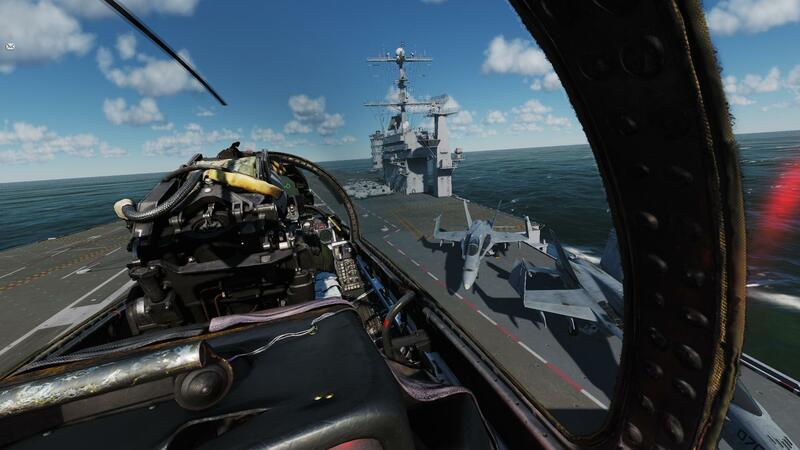 As a note: The F/A-18C Hornet enters Early Access on the 30th of May. That will most likely also be when the preorder ends. Right now you can still use the discount on it. This will be the new DCS flag carrier while coincidentaly being the most capable & versatile plane in the selection. 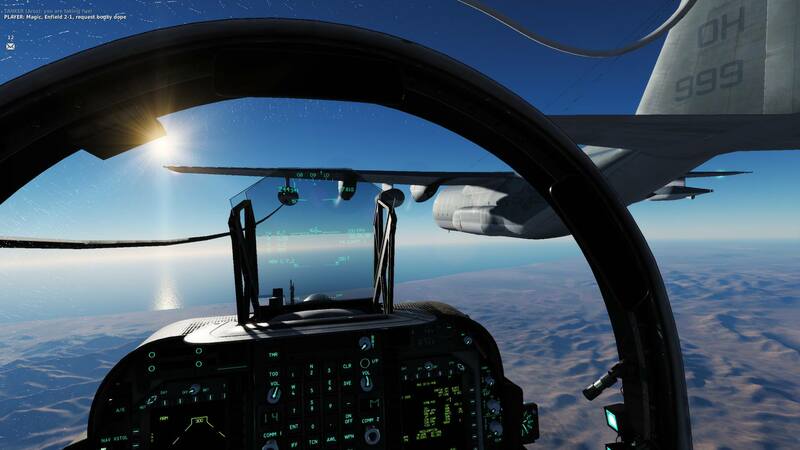 The Persian Gulf terrain (formerly Straight of Hormuz) will be released on the 23rd of May. That is tomorrow. Today is the last day of preoder discounts for that one. This will be the first fully fledged map that represents an actual contemporary combat zone and should thus be widely popular. Persian Gulf is really cool. 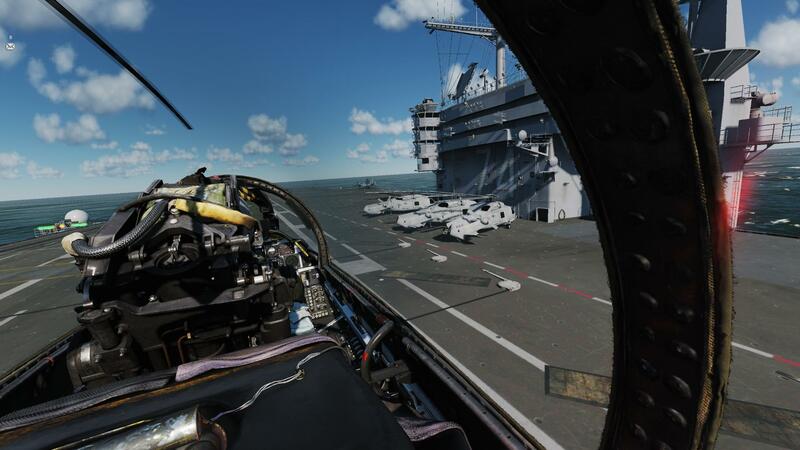 Also even with the Hornet and Tomcat closing in, I think the Harrier is never gonna be out of a job. It's just too flexible as an A/G platform. Here are some pics of the Hornet. so far: several aim-7 kills, several aim-9 kills and guns kills for days. It throws off my mk82 and 83's that are on a double rack in pairs, even tho i set it for singles. The persian gulf is something special also. hey guys are you gonna fly any specific day and time ? Most modules are 50 % rn because of summer sale. Even new stuff like the Harrier is discounted at 50%. That's a recommendation. If you're pondering getting into DCS make sure you have atleast 16GB of RAM, an SSD and a flightstick (headtracking is a nice bonus). 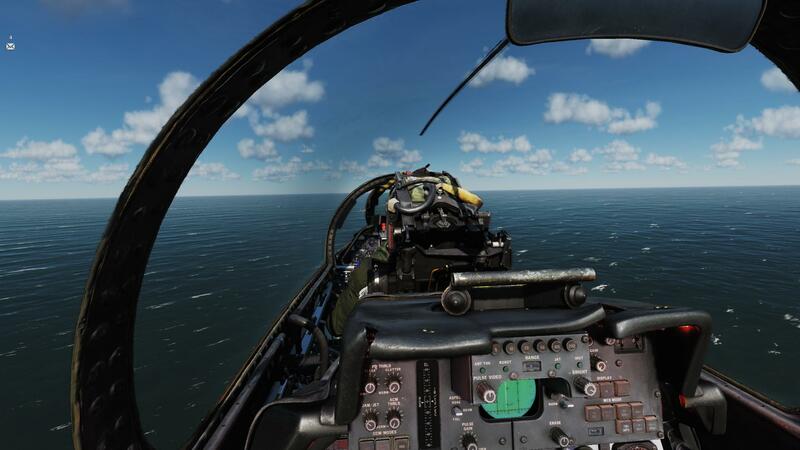 Currently a special bundle is being offered containing all DCS helicopter modules for the price of one module. This is a rare offer for people who want get into rotary wing stuff more. 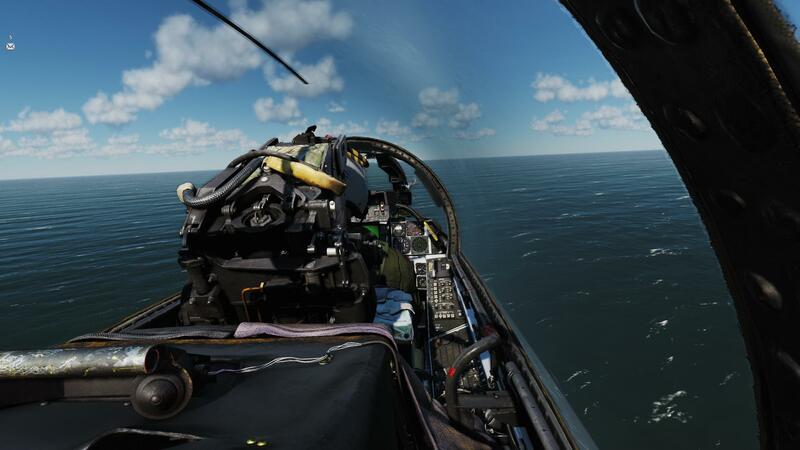 The DCS F-14B (Steam | ED Shop) is about to be released on March 13th and is shaping up to the best and most in-depth module yet. Features actual multi-crew with meaningful crew resource management as RIO and pilot. Lovely also for people who don't actually want to or know how to fly and just like to focus on the RIO's job in the back. Come get your Top Gun on! Gonna be all over that. So Easter Sales is here, Any recommendation for something i can get as a beginner on DCS, which will grand me fun and teamplay with community players ? When the f18 is finally completed it will warrant an add to that list. Not really on sale, but Tomcat, Hornet and Harrier are the top dogs and most diverse modules and will be for years to come. In that particular order. Tomcat is just great to fly with a buddy. 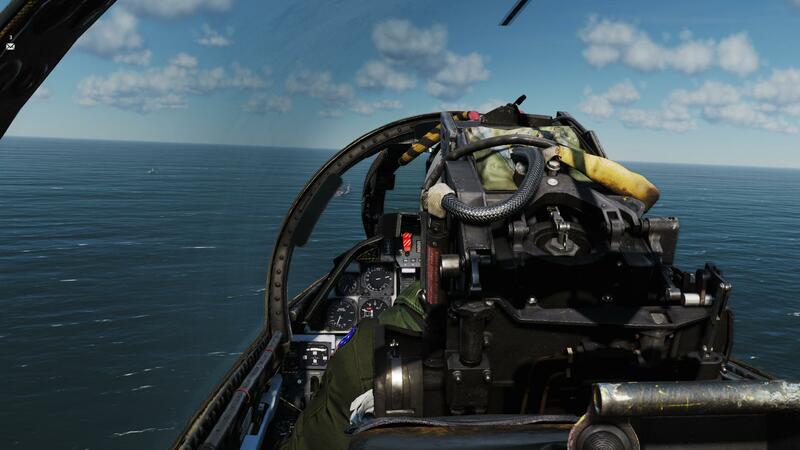 Hornet will be the best allrounder but still has key functionality in development and is not really finished just yet. If you don't have it and are a complete novice, maybe get FC3 first. More diverse and easier to learn what playstyle you like most. Also take a look at Persian Gulf as a map. Very nice. Don't bother with Nevada. Good stuff that's currently on sale but is a bit more advanced: M-2000C, F-5, MiG-21.